Sinead O'Sullivan has worn green and gold at Fitzgerald Stadium, but this weekend she will be lining out in blue in Killarney - against Kerry. She now plays for Cavan, where she now lives and works, and tomorrow she will face off against her native county for the first time. The 29-year-old midfielder will take on some familiar faces, including her former Southern Gaels clubmate Anna Galvin. O'Sullivan's parents PJ and Mary O'Sullivan will also be interested spectators. 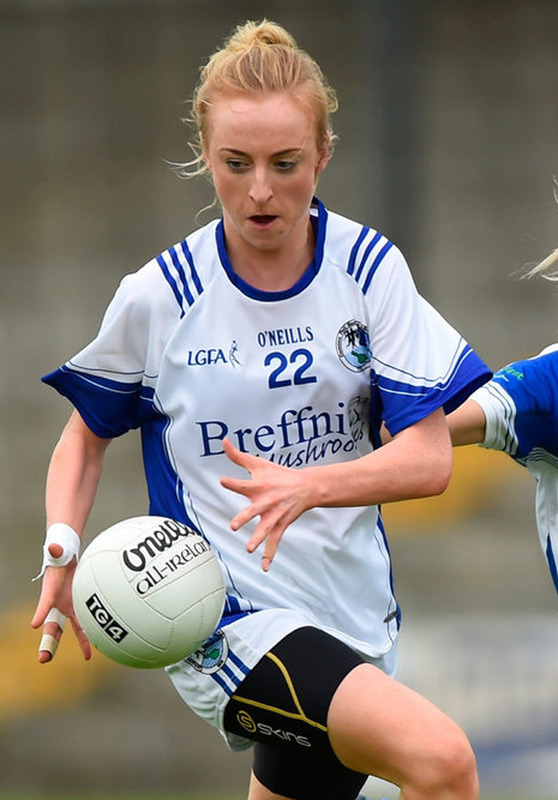 It's an unusual experience but something O'Sullivan relishes as the Farney women aim for their fourth win of the campaign and a potential semi-final spot in Division 2 of the Lidl Ladies National Football League. "It will be a challenge," says O'Sullivan. "It's nice to get back down and play football in Kerry. I will enjoy it. But it will be strange going to Killarney. I know a couple of the girls. One of my old clubmates will be playing for them. "It will be strange to play against people I have played a lot of football with but it will be good too. "I played at Fitzgerald Stadium at underage level, but I didn't think I would ever be going down there in a Cavan jersey. "I will go down with the Cavan girls and stay with the panel but maybe the night after I will go and see my mother and father. "My folks and aunts and uncles still live there. My folks will have to go to the match and I hope they will be shouting for Cavan." O'Sullivan grew up on Valentia Island but chased her dream of becoming a dentist to Trinity College in Dublin, where she continued her footballing endeavours. At 22 she took up her first dentistry post in the capital before she relocated to Cavan the following year and started her new life in Lough Gowna. "Unfortunately, Valentia Island is quite a rural place and there just wasn't employment there for me," says O'Sullivan. "That is what took me up this direction. I would like to have been closer to home but you go where the work is. "I played for Kerry at underage from U-14 up, so it would have been nice to pull on the green and gold jersey at senior. But what can you do when it comes to work? "I played a good number of years, but it just wasn't an opportunity when I had to move away for college. "I actually really, really like it here in Cavan now. I have made some very good friends up here through football so I am very much settled here now." O'Sullivan joined the Lacken Ladies before she got the call to tog out with the Cavan seniors before the start of 2015. "I am one of the more senior members on the panel now. We have very good young girls coming through. It is nice to be part of quite a mixed age-group team," she says. "Things have been progressing nicely through the league and I am looking forward to the summer and the championship. I love playing football then." Declan Rooney Mick Bohan says that his league and All-Ireland champions Dublin will be hurting after Cork avenged their All-Ireland final defeat in the concluding round of Lidl NFL Division 1 games with a 2-13 to 2-08 win, but Dublin will soon get another crack at Cork in the semi-final in two weeks. Roscommon CBS dug deep to enjoy success in the All-Ireland PP Schools SFC 'B' final thanks to a James Fitzpatrick point in the seventh minute of additional time at Croke Park on Saturday.